Hey guys! I've been a lurker here on many threads and commented on a fair few when I get the chance. So I thought it was time to start my own thread and save. Let's get onto the team then shall we? It's going to be one of my local sides that I turned out for from the age of six until 17. Clonmel Town in the Irish lower leagues. 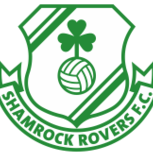 In real life there's no proper pyramid connecting all the leagues but I managed to find a database that links 7 tiers together right up to the Airtricity Premier League and so I'll be starting in the 5th tier. This is going to be a Youth only challenge as I love reading those types of saves on here. There are some real players still here (including a couple of my former managers!) and also some regens to fill up the squad, all random of course. No players will be signed but I'll keep the real players until they retire/are sold/can be replaced. I won't drag this on so I'll post some screenshots of various bits and pieces. As you can see we have pretty meh facilities but the Fairly Professional squad status is a good starting point. The finances start off in the red unfortunately and since it's my first lower league save I'll have to learn how to control them. We got off on the wrong foot with that as I managed to get the wage bill up to €425 a week which was a complete oversight from me as I tried to tie some players down. Our modest history is also there. My best achievement with the club was getting to the semi finals of the National competition at U13s where we were hammered 5-0 by St. Kevins Boys in Dublin (They've produced the likes of Jeff Hendrick, Robbie Brady etc.) Squad Part 1/Squad Part 2 I forgot to get the ages in but there are a lot of very old players and very young players. Curran who I'm excited about is 16 and I hope I can keep him at the club for a considerable time. Other future prospects are O'Reilly, O'Rourke, Smith, and O'Donovan. The current star players are McGrath, Kiely, Mulcahy and P. Scully (Who's 40 and a former manager!). Tactics (Couldn't post like the other pics for some reason, maybe a limit?) Very simple 4-4-2, pretty self explanatory. Loaded Leagues (Quite a few view only in South American/African etc. to try and get some variety.) Playable Leagues (For European competitiveness further down the line.) Thanks for reading (if you made it that far!). I know that was a lot of info bombarded at you all but if you want more (Greedy bastards. ) just ask!